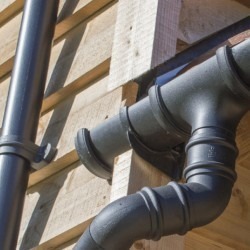 Gutter Supplies Half Round Gutter is manufactured by FloPlast, the market leader in the UK. The half round gutter system is manufactured to BS EN607 and carries a 20 year performance and 10 year colour guarantee. 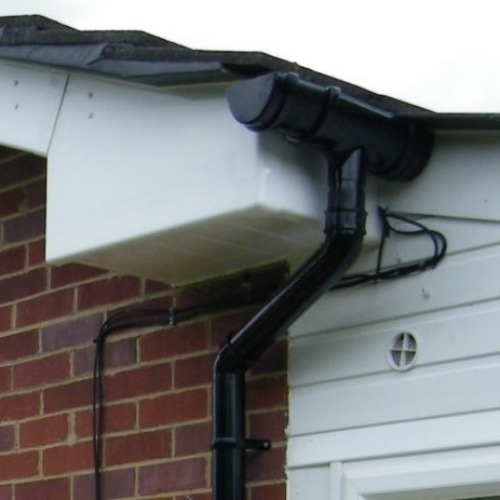 Half Round Guttering has been installed on many thousands of UK properties over the last forty years, and it is still the most popular guttering style. Our half round gutters fit with a wide variety of other systems such as Hepworth, Brett, Polypipe and others; please check out our compatibility chart to ensure compatibility. The carrying capacity of any gutter system is determined not only by its size, but also by the position of the rainwater downpipes in relation to the gutter and the fall to which it is laid. 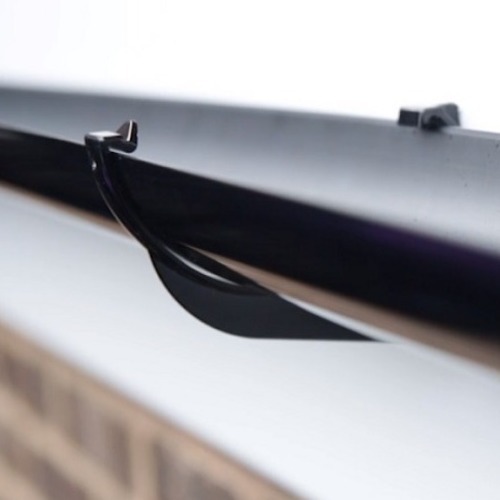 All gutter systems can actually be fixed level, although we would recommend that a fall of 1:600 is incorporated (this equates to approximately 1 inch in 50 feet, or 2.5cm in 15 metres in metric terms). Floplast Half Round Gutter capacity varies between 0.92 litres per second (fixed level with the outlet at one end) and 2.6 litres per second (fixed at 1:350 with a central outlet). This is generally more than ample to cope with the flow from a standard pitch, domestic roof. If you have a steeper pitched roof, or perhaps a larger than average surface area, we would recommend that you consider fitting either our Deepflow Gutters or Ogee Gutters. If your roof is on a barn or commercial building we recommend that you consider using our 170mm Industrial Guttering. The size of the downpipe is irrelevant in terms of the system capacity – provided that they are kept free of leaves and debris our downpipes will always have a far greater flow capacity than the gutters that they serve. For tips and videos on gutter installation, compatibility and maintenance please visit our Guides and Tips section. Other gutter designs are also available such as the Ogee feature design. We are often asked which style of gutter we ourselves would choose to install, click here for some useful pointers on which guttering style to buy. If you need any other assistance please do not hesitate to contact us.